All the fun that's fit to print. Wax statuettes, inflatable dinosaurs, and being in a museum after hours. The only thing that’s missing is Ben Stiller. 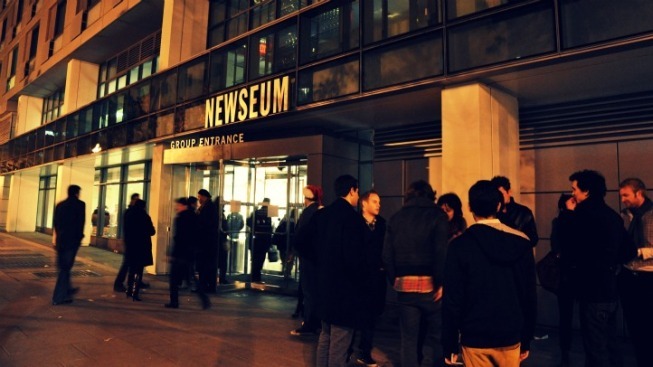 On Friday, March 25 at 8 p.m., the hipper-than-thou Brightest Young Things host Night at the Newseum II: Way Out of Line, an after-hours party that gives you access to the entire museum along with incentives like inflatable spaceships... all for a cheaper price than a standard ticket to the Newseum (555 Pennsylvania Ave. N.W.). They promise to up the ante with more features including caricature artists, photo booths, exclusive news galleries, cash bar and food, and DJs Nikedemus and Ancient Astronauts, plus "other stuff we always come up with last minute," the Brightest vow. If interactive museum exhibits and dressing up like Ben Stiller (which is actually encouraged for this event) is your thing, than the Newseum’s the only place to be this Friday night. Tickets are $15 pre-sale, and $20 the day of. More info can be found here.